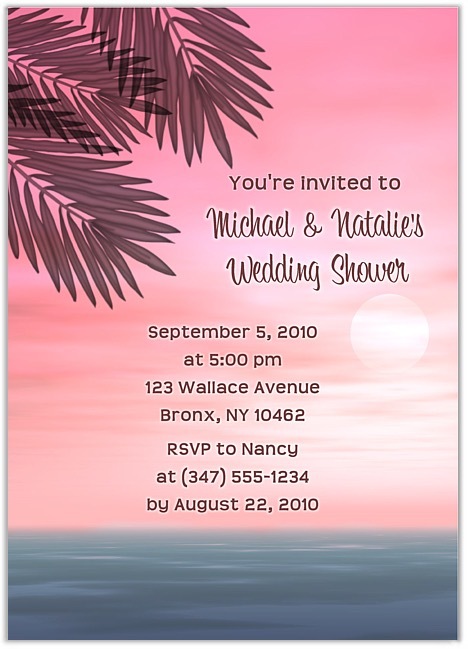 Beach wedding invitations. The ocean themed invitations can also be used for a bridal shower. These are printed using a high quality laser printer and the finished party invitations are affordable and of outstanding quality! Proofs via email: REQUIRED. Party invitation proofs are normally emailed within 24-48 hours of receiving payment and personalization information. From time to time our workload is busier than normal. Please click here to check current turn around time.